If you like to check out the sky at night there will be something of interest to look at this Friday (10/24/13). There will be a lunar Eclipse between about 7:50pm and 11:50pm where over the course of 4 hours the moon will come into the shadow of the earth. This will be visible during anywhere on the dark side of the Earth during that time. This is the second lunar eclipse to happen so far this year. Unlike a solar eclipse, lunar eclipses are safe to view with the naked eye. The moon does not get any brighter than it would normally. This does make for an interesting set of pictures where over just a few hours span you can take the moon completely lit through the stages where is it completely dark (in the shadow of the earth) and back to fully lit again. If you plan on taking pictures it is best to use a tripod to hold your camera. You will normally need to use exposure times of 5 or more seconds to get a bright clear shot. Unlike when taking pictures of star trail you don’t want to set the exposure for much more than that, unless you are looking to have the moon move across a wide angle view picture changing as it goes along. NikonUSA has a good tutorial Lunar Eclipse Photography that explains three different methods to capture the Lunar Eclipse. Of course if you want to see the lunar eclipse well you will need to get out of any of the larger towns and cities. The light produced around the larger cities like Santiago, Santo Domingo, Punta Cana etc, will make it pretty hard to get a good shot. This is a good time to visit a friend in the campos so you gat get clear pictures without a background haze from the city lights. It’s party time again in La Vega Dominican Republic. While it always kind of seams like there is a party going on, the month of February brings it to new heights. Each weekend during the month of February there will be parties going on throughout most of the Dominican Republic but the most famous area is Carnival Vegano in Le Vega. The carnival is known for its costumes and in particular the masks. Groups of people spend month creating elaborate costumes called “diablos cojuelos” , or Devils with the competition centering around who can create the most grotesque masks. 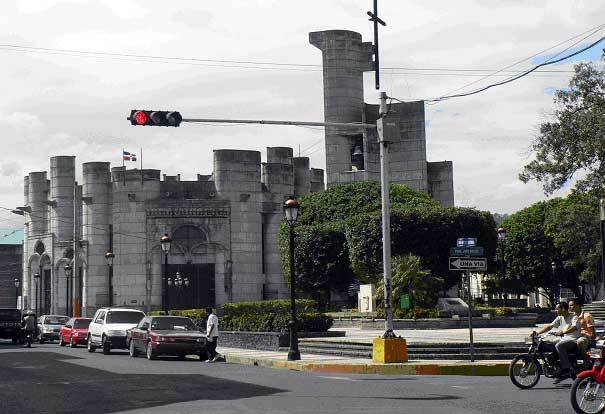 Santiago de los Trienta Caballeros (Saint James of the Knights) is located in the northern region of the Dominican Republic and has several places that are definitely worth visiting. As a resident of this fair city, I’m always open for places to go, and the Santiago Monument is one I would recommend for anyone who finds themselves here looking for something to do. Situated on the corner of Avenida Francia and Las Carreras, the monument is a popular place. 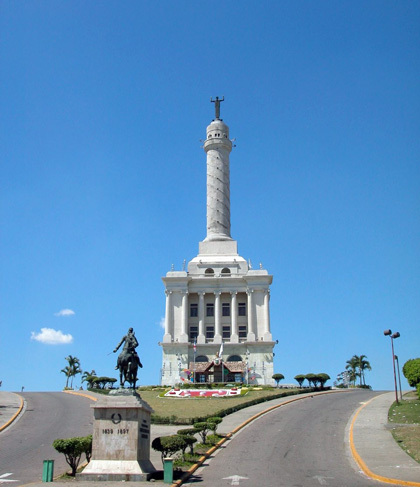 After any event of Dominican note, (like when Martha Heredia won the Latin American Idol, Amelia Vega won Miss Universe, or whenever the local Aguilas baseball team wins), the monument is where everyone heads to celebrate. The whole downtown area is impassable during these occasions, and it is probably wise to avoid the whole general area if you don’t want to get caught up in the chaos. 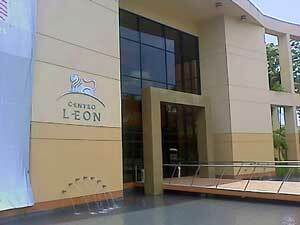 Art and culture lovers who are visiting or live around Santiago will find the León Jimenes Cultural Center worth visiting. An art lover myself, this is one of my favorite places to go and spend a relaxing few hours, when I have them to spare. Here’s some history and general information you may find interesting to know before you go. The Cathedral – it is situated next to the main park, impossible to miss. It’s a grey, concrete building, a mixture of Gothic and neo-industrial styles. Nothing impressing I am afraid.